In the beginning of 2017, Belarus has indroduced a 5-day visa-free regime for citizens of over 80 countries, and in the end of the same year, 5 days changed to 10. So, if you want to use the opportunity to visit Belarus without paying for visa, now is the best time. To help you plan your trip, we’ve created five 5-day itineraries around Belarus of different kinds. 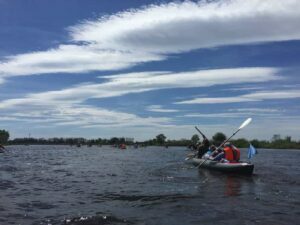 like kayaking, you can try this activity in one of 11000 rivers and 19000 lakes on the territory of Belarus. Check the best water routes around Belarus in our article. If you would like to have a luxury holiday in our country, you can afford a lot for much less money than in any Western European country. Check the best activities and our 5-day Belarus luxury itinerary with recommendations on places to stay and things to do to enjoy the most of your holidays. 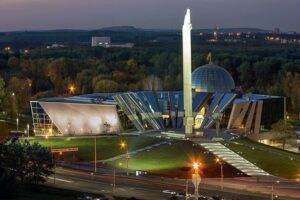 One of the main reasons to visit Belarus is its history, especially connected to the Second World War. The country was devastated during it, and nowadays, you can find numerous memorials and museums devoted to the hardest times in Belarusian history. To cover the best historical attractions connected to the Second World War, we’ve created an itinerary around Belarus allowing you to get to know this part of our history in the best way possible. Belarus is a mainly orthodox country, but tolerant to many other religions. If you would like to see the best attractions connected to religion, whether you are relegious person or not, we’ve created a perfect route around Orthodox shrines of Belarus. Some of the most interesting religious and at the same time defensive structures are fort churches that were filling two roles at the same time. Some more great routes for those, who like active leisure. 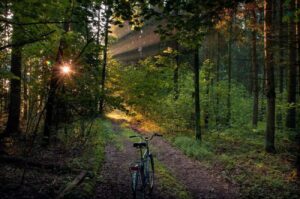 Belarus has a beautiful nature, and riding a bike is one of the best ways to enjoy it. So, they were our 5 types of Belarus itineraries. If you didn’t find something you would like to do or visit in our country, check top 12 things to do in Belarus like a local. Have a great time in our country!